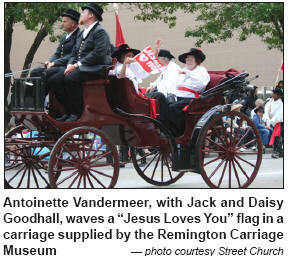 Licia Corbella has this article in the Calgary Sun about a street church that out-fringed the Fringe Festival! Artur Pawlowski and his homeless friends apparently scared the Tarot card readers and mystics by talking with them about the Bible (gasp!). Two days later he was arrested for the crime of standing on a Calgary sidewalk with six other people praying and reading the Bible (gasp! gasp!). Apparently they were standing by themselves and out of earshot, but distraught festival participants still thought it necessary to call the cops, who then were moved to arrest them for this grievous violation. My first thought is I love it. Not the arrest of a group for practicing their Charter rights to freedom of speech, assembly, and religion, but because followers of Jesus are supposed to be dangerous. We’re supposed to scare the pants off people by living good lives within the boundaries of the law. Followers weren’t persecuted for the first 400 years after Jesus for breaking civil laws, and they weren’t persecuted for driving shiny cars to suburban gatherings where they sang along to mediocre music and smiled too much. No! 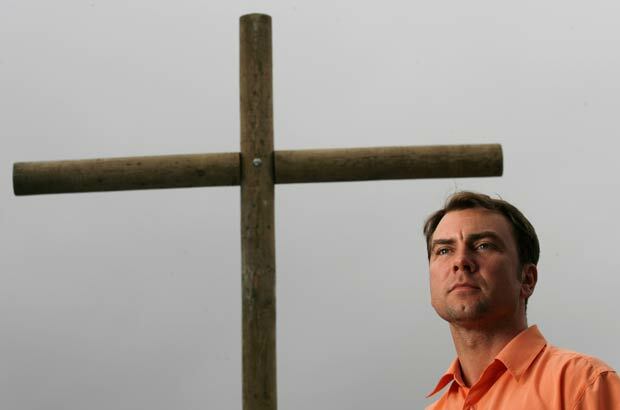 They were hounded for living like Jesus did, for sharing His radical message of grace and love, and for connecting with the sorts of people that nobody else was interested in (i.e. homeless). They were persecuted for out-fringing the Fringe Festival. For instance, in his first letter to the Thessalonians Paul writes, "This should be your ambition: to live a quiet life, minding your own business and working with your hands, just as we commanded you before" (I Thess. 4:11). Doesn’t sound radical? How about this line from the beginning of his second letter to the same church: "We proudly tell God’s other churches about your endurance and faithfulness in all the persecutions and hardships you are suffering. But God will use this persecution to show his justice. For he will make you worthy of his Kingdom, for which you are suffering" (II Thess. 1:4-5). Jesus didn’t die to save us from danger; He died to make us dangerous (in a good way).